Operculectomy/Pericoronal flap excision. An OPG is usually taken to decide the fate of the wisdom teeth. Not so often a 3D X-Ray (CBCT) may be required to check the relation of the wisdom tooth to the Mandibular nerve. Most of the procedures are carried out under Local Anesthesia. The clinic uses the finest needles and cartridges in the world (Septodont, France). 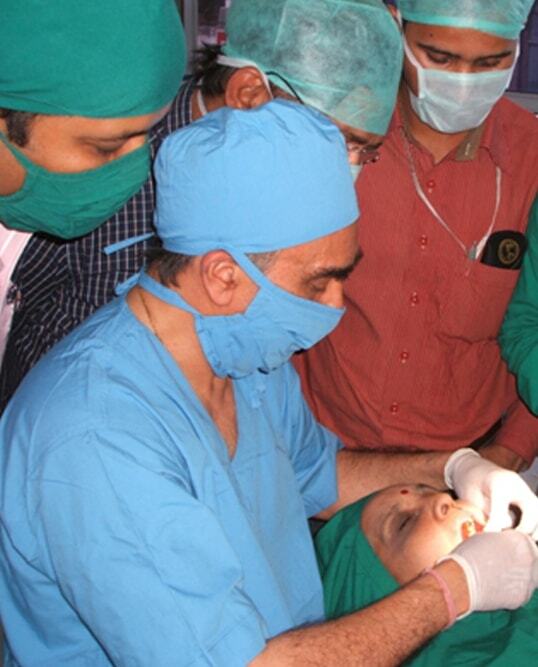 At times procedures may require General Anesthesia. Such cases may be done in a hospital environment or in the clinic itself depending on the treatment to be done or the patients medical history. The clinic has an on call Anesthesiologist for administering GA. Ethicon sutures are used for suturing. Resorbable sutures are used when patients are travelling and cannot visit the clinic for removal of sutures (stitches).